The web hosting industry has gone through many changes and along the way encountered a number of innovations that have caused considerable disruption. None of these have caused as much disruption as the ‘cloud’ and its ‘scalable’ approach to costs. What’s the background to scalability in cloud computing? In the early days of the industry, the concept of web hosting used to be fairly straightforward – if you needed a website hosting, you rented part of a server (Shared Hosting) and hosted your site. 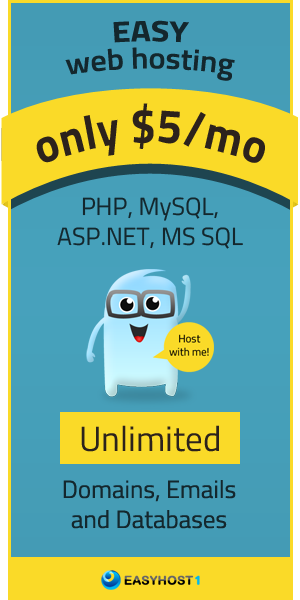 If your site became popular and received more traffic, you transitioned from a shared solution to something like a Virtual Private Server (VPS) which offered more resources, or you went the full nine yards and rented a server that was dedicated to your needs and was yours to use in its entirety (Dedicated Server hosting). Few went as far as buying their own machine and renting space in a data center (collocation), but that was always on an option. Whatever you perceived you needed, you simply bought it, and that was it. As the internet became increasingly popular though, businesses in particular became more dependent on their websites as a marketing tool. The question then became a matter of resources. If a website suddenly received a spike in traffic and enough resources (RAM, data transfer, disk space, etc.) were not available, the website would crash and visitors (meaning potential customers) had no access to its content. To overcome this issue, companies would invest in more resources. They would upgrade hosting accounts and spend money to ensure that their website was online 24/7. So while a site might for the bulk of the time only require shared hosting, a company would purchase VPS just in case. Likewise if companies needed only VPS hosting, they would upgrade to a Dedicated Server account, just to ensure that if a spike in traffic occurred, their hosting would have the power to deal with it. So, essentially, businesses used to pay for resources they didn’t need to keep them in reserve for the odd occasions that they did. Clearly, as a business model this was akin to paying a costly retainer, and one that any business in its right mind would avoid if possible. With the need for increased resources came other costs – having staff onboard to maintain a service, possibly even maintaining a full IT department. And as servers became used for more than just hosting websites, costs spiralled – remember Lotus Notes? It kept the documentation of entire companies organized so that it was at the fingertips of any staff member. But it was costly, often requiring dedicated staff to manage the solution. Ultimately, great swaths of resource hungry business activity from accounting to human resources and beyond found its way onto servers. But such convenience came at a cost. Usually a great cost. Then came the cloud - a paradigm shift. The cloud offered a promise of addressing the excessive cost of IT. Of course, there is myth and lore regarding just how the cloud first came about, but the fact is that some major companies (and many point at Amazon’s retail business for this) recognized that they maintained a lot of server resources that they didn’t always need. Someone then had the idea of selling these unused resources for other businesses to use. That was possibly the ‘eureka moment’ for hosting – rather than rent individual machines (or parts thereof) to individuals and businesses, why not join all servers together in a network (to form a ‘Server Farm’) and rent server space and resources. With all server resources available to all customers at all times, then came what has been one of the chief drivers and selling points of the cloud: Scalability. With scalability, hosting began to be regarded more as a commodity similar to gas or electricity: In the summer, you don’t use much of either so your bills are low, and in the winter, you use more of each, and as a result your bills are higher. For the first time companies could be charged only for the server space and resources they used, and no more. Scalability meant that if your website, online service or online business applications weren’t used, theoretically anyway, you wouldn’t be charged. The business model had shifted from purchasing server resources you didn’t really need just in case there was an odd occasion you would need them, to only using the resources required and only when you required them. Beyond spikes in traffic, scalability allowed businesses to meet additional demand of any nature by temporarily upgrading. Scalability allowed companies to add a different processor to a server, or even increase the number of processors used, and then restore a server to its original configuration when increased activity had diminished. All this came at a cost, but not a permanent cost. Of course, scalability suggested a business model non-IT people could understand, and the growth of the cloud has been fuelled as much by CFOs and CEOs as heads of IT departments. However, alongside the perceived benefits of scalability, there were real drawbacks that only those in the know might recognize. Not least was the issue of migrating to the cloud – a costly process that required significant strategy review. Before the days of containers, not all apps and software could easily move to the cloud. Very much like the internet itself, once all the hype of scalability in the cloud subsided, the reality was much costlier than many had originally supposed, and this quelled the initial fervour. There were also security concerns – data in the cloud was deemed more likely to be hacked than data stored on a local server. Despite such issues, the cloud is now dominant. Like the industry, the cloud has come a long way and with the benefits of scalability, massive cloud adoption has been experienced. Right now, entire data centers are offered to companies that once would have had to purchase and manage physical servers, and all enjoy the benefits of paying only for resources used. The vast range of scalable cloud-based services that now exists is overwhelming – Infrastructure-as-a-Service (IaaS); Platform-as-a-Service (PaaS); Software-as-a-Service (SaaS); Storage-as-a-Service (STaaS); Security-as-a-Service (SECaaS); Data-as-a-Service (DaaS); Database-as-a-Service (DBaaS); Test Environment-as-a-Service (TEaaS); Desktop Virtualization and API-as-a-Service (APIaaS), to name but a few. A number of players offer scalable public clouds including Amazon Web Services (AWS), Microsoft Azure and Google, but they also offer ‘Private Clouds’ (more akin to the old ‘intranet’ model) which only company staff with permission can access. There are also hybrid services that offer businesses the benefits of cloud scalability but with the added benefit of fitting with existing hardware and infrastructure. According to Forbes magazine in 2017 “60% of businesses say they’ve set aside funds for additional storage space to help manage the immense amount of data being created every day within their markets”. This includes moves to public and private clouds. Increasingly businesses have been able to move all business functions to the cloud and rid themselves of any need for internal IT costs. While scalability has been the driving force behind the growth of the cloud, there have been issues. The model is sound, but there are a limited number of players and Amazon Web Services (AWS) is the gigantean of providers. This causes problems. In the first quarter of 2017 Seattle-based AWS held a 47.1% share of the public cloud market. In February this year a cloud service outage at Amazon showed the world just how vulnerable they might be as a result of their reliance on the cloud and any one particular provider. Although it was only a four-hour outage, key sites like Netflix, Spotify, Pinterest and Buzzfeed and major apps like Slack were down for the entire period. This was also the case for the thousands upon thousands of SMEs that leveraged AWS for their sites and mission critical applications – for four hours they did not exist as far as the internet was concerned and they certainly did not do any business. What was worrying about this was that the same thing happened in September of 2015 – but then it was for five hours. While this hardly represents a pattern emerging, such outages have forced businesses to re-evaluate the benefits of scalability against the potential for disruption should a major third-party provider like AWS go down (or even worse, go out of business) as a result of cyber attacks or other such misfortune. Alongside the vulnerabilities they might face, businesses have recognized that scalability has advantages and nuances. Although providers like AWS might offer scalable services, the software and apps businesses use in the cloud have to be carefully designed to scale with the cloud. Poorly designed solutions can require ongoing levels of resources, and the result of poorly designed solutions is quite the opposite to cost saving. Some companies have been hit with costs that have basically driven them back to on premise, legacy IT solutions that they can budget for. Startups in particular have been driven towards the cloud with the promise of scalability and reduced costs, but many have soon recognized unpredictable costs to be a burden. Likewise major companies like Uber have moved off the cloud because of excessive costs. The fact is for many companies physical servers with fixed costs now prove more attractive than virtual servers. Without careful management the benefits of scalability can easily be negated, and of course, that management costs money in its own right. Despite the issues, the attraction of scalability means that the cloud will continually be enhanced with a view to making cost saving through scalability more apparent. There are now countless solutions that enable IT teams to control and monitor cloud costs. Likewise a range of solutions exist which harness Artificial Intelligence (AI) to track and predict usage and issues that might bump scalable costs. Such advances will mean that at some stage in the future the scalable cloud will become a genuine commodity with predictable costs that people can accurately forecast and be entirely comfortable using.